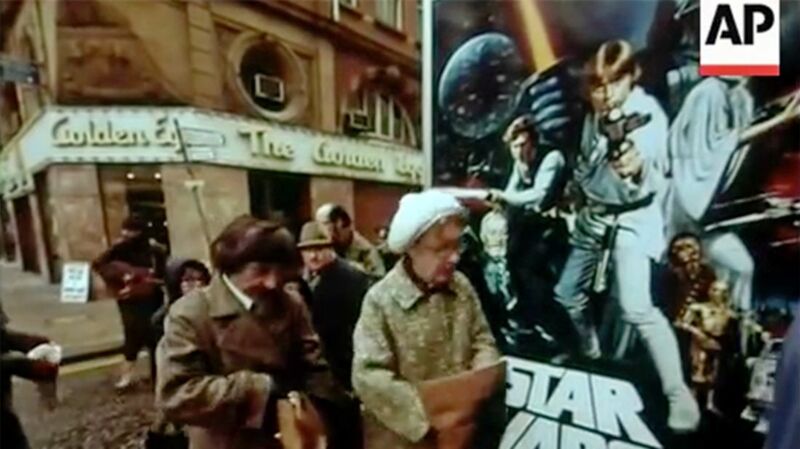 When Star Wars came out in 1977, it was a sensation. Here's newsreel footage from British Movietone explaining just how big a hit it was in London—nearly 600,000 people there saw it in its first month. Important Note: After the 0:50 mark, it's just footage from the film, so you can tune out at that point.